You will need a prescription to purchase any product, including medicated feed, containing a medically important antimicrobial (MIA). Growth promotion claims on drug products containing MIAs for use in food animals are being removed. 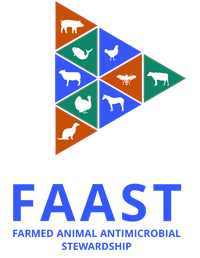 Use of these products for growth promotion or feed efficiency will no longer be allowed, but most products can still be prescribed by your veterinarian for prevention or treatment of disease, if needed. Drug manufacturers agreed to remove growth promotion claims from their products, as use for growth promotion is not necessary to keep animals healthy and productive. No longer be able to sell any mixed feeds (complete feeds, supplements, macro premixes, micro premixes) containing MIAs to producers without a prescription. Be able to floor-stock medicated mixed feeds that are prepared according to the Compendium of Medicating Ingredient Brochures (CMIB). This will help feed mills to quickly provide standard medicated feeds when a prescription is provided. Medicated feed not listed in the CMIB (i.e. off-label) will be made to order by the mill once you provide a prescription from your veterinarian, which may have an effect on how quickly animal owners can obtain medicated feed. DIN drug premixes (i.e. unmixed in-feed medications for mixing on-farm) will ONLY be available through a veterinarian or a pharmacist, with a prescription. If you do not routinely work with a veterinarian, you will need to establish a Veterinarian-Client-Patient-Relationship (VCPR) so your veterinarian can prescribe drugs for your animals when needed. Check Animal Owner FAASTsheet #5 to learn more about a VCPR. You can no longer use MIAs to promote growth or feed efficiency. MIAs may only be used for treatment, prevention and control of illness. See Animal Owner FAASTsheet #8 for more. If you don’t already have one, establish a VCPR (working relationship) with a veterinarian in your area to prepare for December 1st, 2018. Talk to your veterinarian about the in-feed and in-water antimicrobials you use for your animals on a regular basis, when and how often they are used, and ways your veterinarian can help make sure you can access these products in a timely way when they’re needed. 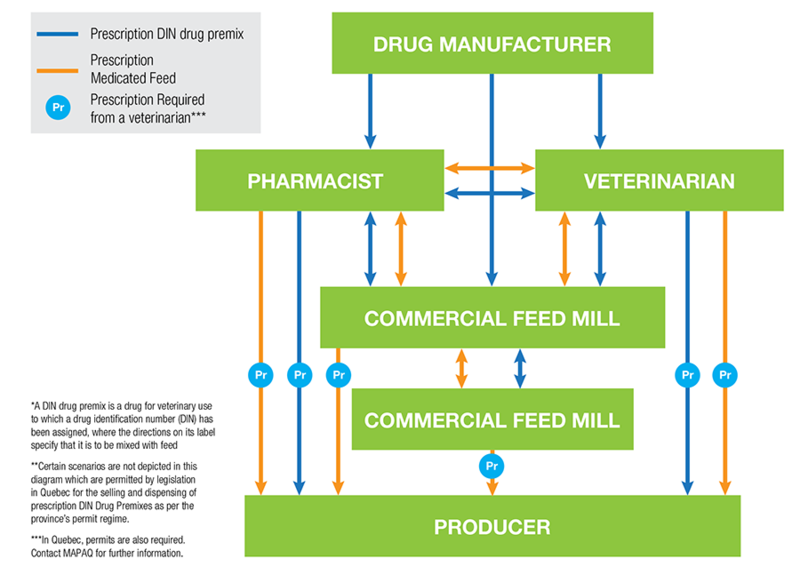 Having your veterinarian work closely with your local feed mill and animal nutritionist to help make the process of prescribing and dispensing in-feed antimicrobials as smooth as possible.